For the second-straight year, participants in Nike's Peach Jam basketball tournament are being treated to a special Kobe sneaker. 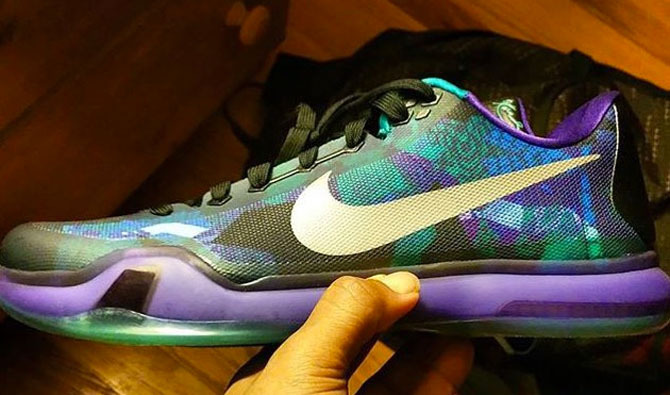 This year, the low-top Kobe 10 is the model of choice. 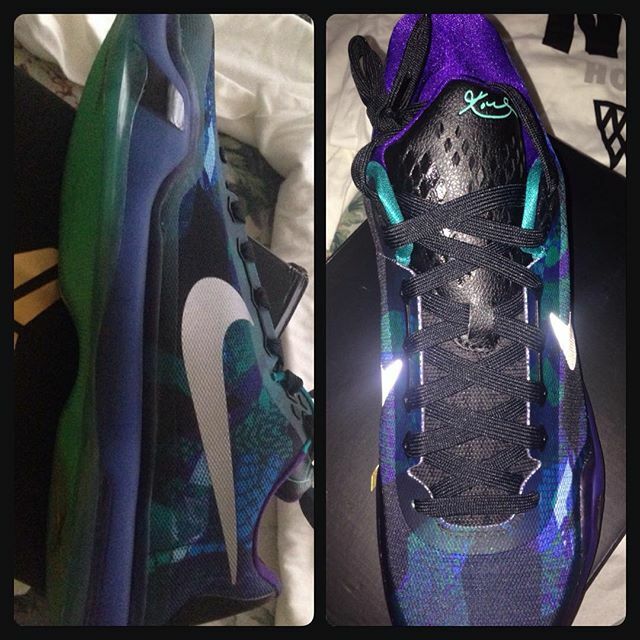 The shoe mixes teal and purple in a pattern on the upper, which is offset by black on the tongue, laces and heelstay. 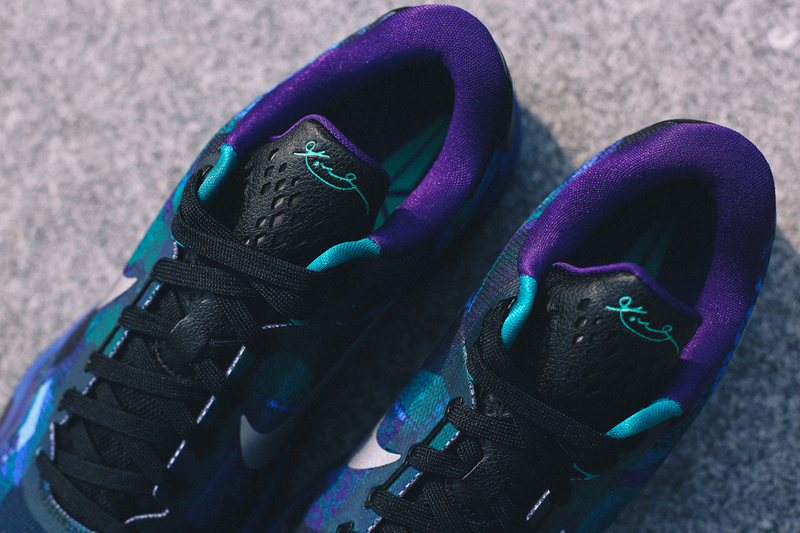 Reflective Swoosh logos appear on the sides, leaving a purple midsole and teal translucent outsole to finish up below. 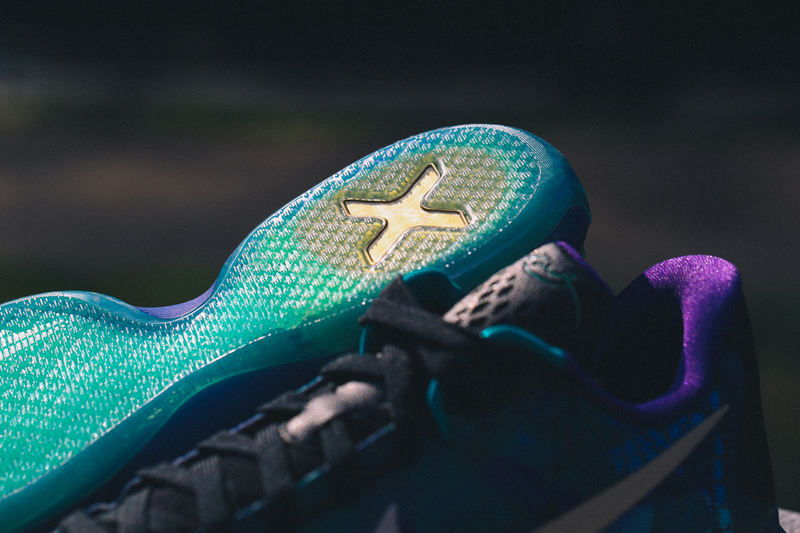 As of now, it doesn't look like the "Peach Jam" Kobe 10 will be hitting retail, remaining exclusive to EYBL ballers. 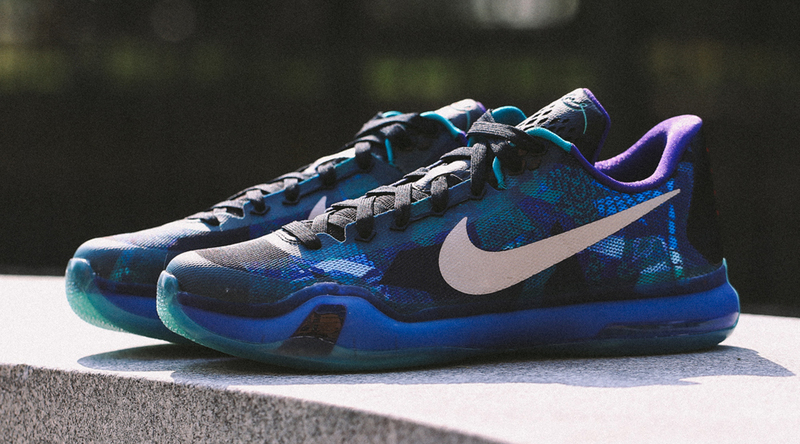 UPDATE 8/17: The "Peach Jam" Kobe 10 will release on Aug. 27.